Security Scholar | Security and defence issues from an Australian perspective. Talk about Indonesia’s Bela Negara program began a little while ago. The concept of the citizenry defending the nation isn’t new, though it is now being introduced systematically through training centres administered by the Ministry of Defense. The overarching goal of the program is to instil nationalistic values, underpinned by the Pancasila ideology, in the hopes that social stability will withstand threats in the form of extremism, drug abuse, communism and even homosexuality. In February, Minister for Defense, Ryamizard Ryacudu labelled the LGBT movement as a form of proxy war. The idea of proxy war—that enemies could exist anywhere at anytime, ready to bring down the Indonesian state—situates the military at the forefront of defending the nation. Through the Bela Negara program, military elites such as Ryamizard and TNI chief General Nurmantyo can legitimise their pronouncements of threats against Indonesia. For the full photo essay, see here. Read the full story by Reuters’ Eveline Danubrata and Johan Purnomo here. 1) what sort of "routine mission" carries over 100 passengers in including the military officers' families in a military transport aircraft? 3) the #HerculesC130 fleet is an aging one, what sort of maintenance policies were in place and do we know if they're strictly enforced? According to TNI-AU chief Air Marshal Agus Supriatna, the plane was authorised only to carry military personnel and their family members; a common practice for remote postings. Associated Press has reported that 32 passengers on board the C-130 were not designated either category. Family members of some of the victims reveal some passengers were willing to pay for their seats on the C-130 rather than board a commercial aircraft because it was cheaper. Supriatna has said he would fire any officer involved in commercialisation of the flight. If that’s the case, I have some more questions: how often are these practices occurring? Are the aircraft being used to transport other goods? Was this more rent-seeking behaviour from TNI officers, and why? Other questions have been raised about the air worthiness of the Hercules. President Jokowi has called for an investigation into the cause of the accident, as well as a ‘fundamental restructuring’ of TNI’s capability management and procurement. TNI must legitimately review its capability development cycle. But some politicians and lawmakers in Indonesia are quick to reduce the matter to developing indigenous capability over acquiring secondhand platforms like the C-130. For instance, when an F-16 jet caught fire at a military parade for the President in April, Supriatna declared that Indonesia shouldn’t have bought used jets, arguing the money would have been better spent on new ones. But Prashanth Parameswaran explains, it’s not a simple dichotomy; the decision at the time to buy older yet upgraded aircraft was a reflection of complex considerations. If the aircraft are upgraded and in good working condition when they are handed over, what systems does Indonesia have in place to maintain and sustain them? When Australia agreed to sell Indonesia used C-130Hs in 2012, the MoU clearly stated that Indonesia would be responsible for refurbishment and maintenance costs. I haven’t seen a report yet for the F-16 that caught fire in April and the results of the C-130 investigation won’t be available for some time. But, until it acquires newer platforms or builds its own, Indonesia will need its current fleet of used C-130s for HADR operations and to move troops around. Hopefully the good from this disaster is another push for TNI to be transparent in how it maintains its airframes and how its officers are using them. Indonesia’s next military chief: Mr Proxy Wars? General Moeldoko’s time as TNI’s head honcho is coming soon to an end. His term ends in July when he and his bapak rings will be up for retirement. Despite the looming deadline, Jokowi has not yet identified Moeldoko’s successor. Traditionally, the role has rotated through the services (since, 1999 anyway) with four-star generals eligible for the job. 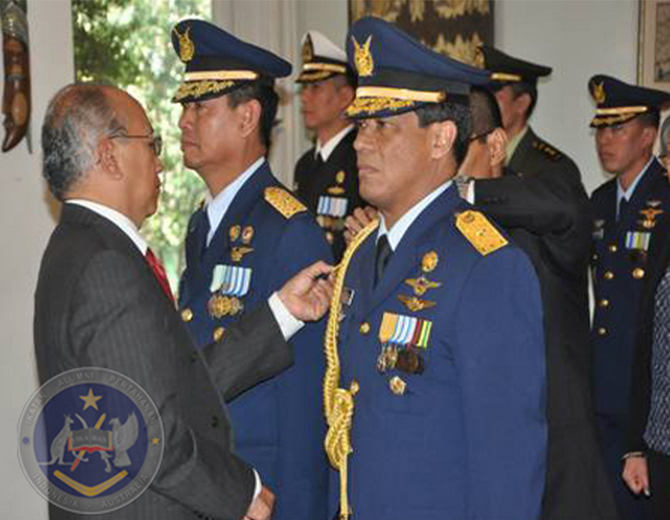 That should mean current Air Force Chief of Staff Agus Supriatna will become “Panglima”. However, as Prashanth Parameswaran points out, it’s far from clear that’ll be the case. There have been public murmurings, including most recently from VP Jusuf Kalla, that the rotational approach isn’t set in stone. For his part, Jokowi hasn’t indicated either whether he’ll follow tradition or go his own way. The reasons for playing down Supriatna’s chances are not immediately clear (and happy to hear what others suggest), but let’s consider one of the options should Jokowi go with someone else. Remember, “Mr Proxy Wars” aka Army Chief of Staff General Gatot Nurmantyo? Back in March, he stated efforts to cede Timor-Leste from Indonesia were actually a proxy war for Australia to secure an oil field in the Timor Gap (a point I’ll return to another time). In the same talk to university students, he said Indonesia’s drug problem among the youth was part of a proxy war aimed to weaken them. That’s the not first time he’s made such statements, and to be fair, they might not amount to much should he take over from Moeldoko. That said, at a time when there appears to be a renewed sense of nationalism in Indonesia, statements made by a Panglima that victimise Indonesia risk fanning nationalist flames. Moeldoko penned strident statements in the Wall Street Journal about the legality of China’s claims in the South China Sea, contrary to statements made by the Ministry of Foreign Affairs. Another vocal Panglima could widen the rhetorical divide between Indonesia’s military and diplomatic arms on key security issues. As Evan Laksmana and Jim Della Giacoma rightfully note, the military—and army in particular—is searching for relevance. It could be that Nurmantyo’s comments are part of this trend. Yet at a time when Jokowi’s vision for Indonesia as a “global maritime fulcrum” depends on a stronger maritime force (being navy, coast guard and air force driven), there’s little apparent logic in appointing back-to-back Army chiefs. Despite the need to rebuild the Navy and Air Force under the Minimum Essential Force plan, the Army has been given a boost in recent years. 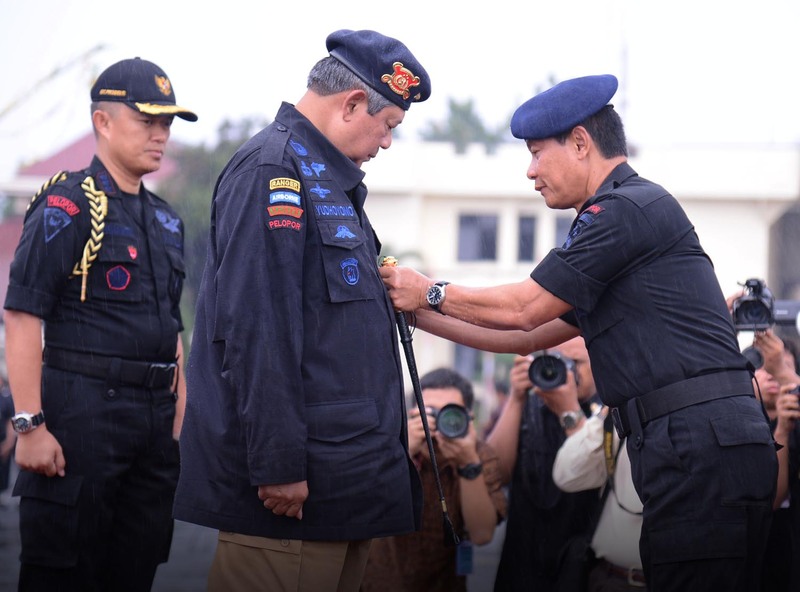 During SBY’s presidency, the Army has incrementally ramped up duties to include larger and more frequent peacekeeping operations, counterterrorism functions and, with a slew of MoUs since Jokowi’s presidency, civic affairs. These civic functions range from rice distribution to countering violent extremism activities and disrupting human trafficking networks. Some remote and insecure parts of Indonesia do need to rely on Army logistics for distribution of food and presence for security, but the Navy and Air Force need more championing if they’re to protect Indonesia’s maritime domain. Naturally it’s hard to know exactly how a Panglima will perform just by looking at his track record. In any case, come late July, part of that mystery will be solved. It’s been a long time since the last post but I’m still blogging! For today, I’ve rounded up a few links of interest to Security Scholar readers. TNI’s modernisation program aims to develop a ‘Minimum Essential Force’ (MEF) by 2024 which entails major upgrades of naval, land and air capabilities as well as the development of a local defence industry. 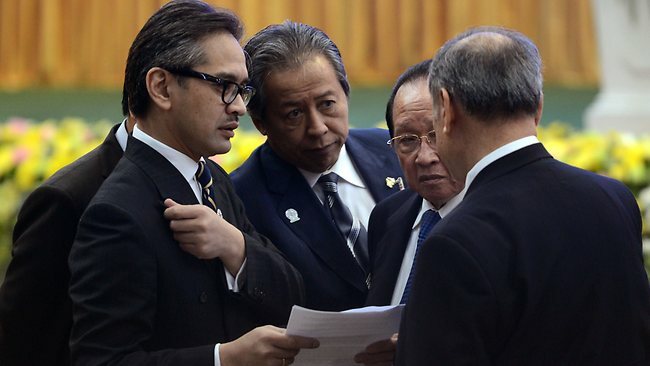 While many of those developments were driven by SBY, some have made their way into legislation, which a new president might find hard to alter. Indonesia also has a number of capability development projects and acquisition deals on the go with partner countries. Defence officials recently announced that the first batch of F-16 Fighting Falcon fighter jets as part of a US grant are due to arrive in country in October. Yup, to paraphrase Indonesia’s Foreign Minister Marty Natalegawa, it hasn’t been a good few days in the Australia–Indonesia relationship. The story de jour, of course, has continued to be allegations that Australian authorities have been tapping the phones of Indonesian President and his close circle. At the time of writing, the Australian PM has rejected calls to apologise while Indonesia’s Ambassador to Australia is on his way back to Jakarta. Welcome back to the working week! However, should China continue to push the strategic envelope in Southeast Asia, it’s very likely that Indonesia will not only push back but will also increase its strategic cooperation with the US.